You just heard about einkorn — the 5,000 year old variety of wheat that's healthier than modern wheat — and you have a thriving sourdough starter. Is it possible to transition your current sourdough starter to einkorn? The Question: How To Transition A Sourdough Starter To Einkorn? Hi! I've already got a sourdough starter (been feeding it with whole wheat flour), and I recently learned about einkorn. Is it possible to transition my whole wheat starter to einkorn? If so, how? Thanks so much! First, let's talk about the unique qualities of an einkorn sourdough starter. On today's #AskWardee, I'm telling you about the first option. 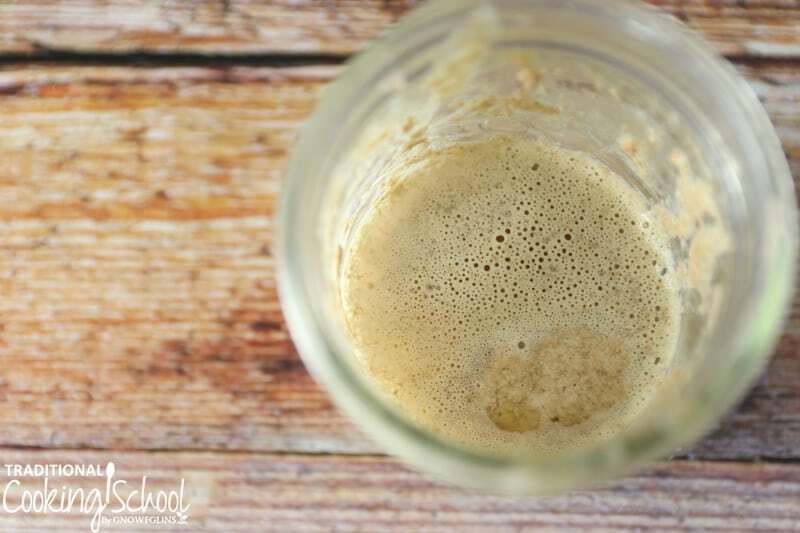 Click here to see how to start an einkorn sourdough starter from scratch. Instead of feeding your existing sourdough starter with whole wheat, rye or spelt (or other grain), simply switch to feeding it with einkorn. You will need to use more flour than before (or less water) to keep it the same thickness, and you may also need to give it a few days to transition and adjust to the new food source. Expecting more? Thought it would be harder? Then when you're satisfied it's behaving well — it's bubbly, domes slightly, produces hooch (yellow liquid), and smells fresh and sour — use it in recipes! 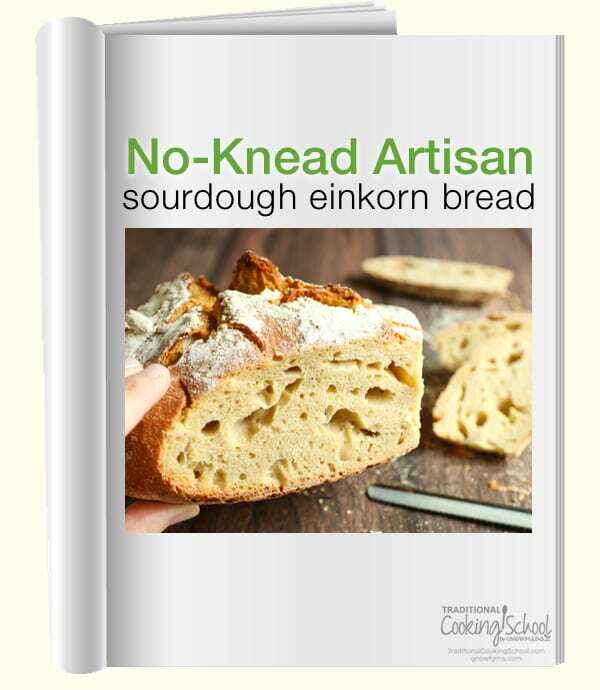 Recipes such as in our Einkorn Baking eBook & Video Package. Or in the Einkorn Baking eCourse that comes with your membership to Traditional Cooking School. Or, click here for a free recipe: No-Knead Sourdough Einkorn Bread. Have you transitioned a sourdough starter to einkorn? How did it go? How does it perform? I wish I had known these things about einkorn sourdough starter when I tried to make sourdough starter. I knew that einkorn was the best so I started with that. I was so excited to be making my own crackers and bread for my home and was devastated when my starter NEVER doubled in size…not even close. I stopped feeding the starter and eventually through it away after several bags of flour were, seemingly wasted. Knowing that I actually was doing it correctly is very reassuring. I might try again. Just with MORE flour than water and in a larger jar so that I can actually bake something without using the entire starter! I will search your past episodes for how to START with einkorn. Mama Rose ~ Yay, I’m glad you found it helpful. Here are my instructions for starting from einkorn from scratch: http://traditionalcookingschool.com/2017/04/07/make-einkorn-sourdough-starter-free-video/. I’ve started reading on your site, love it. I started an Einkorn starter and I can’t find any reading on how to finish it? I have had it for three days and I do exactly what it says…3/8 (6 TB) Einkorn flour and 1/4 cup water and I have been tossing half out now and doing all that but where can I find reading material on what I do after the 5 or so days? Should I refrigerate it then, etc. Please let me know. After your starter is about 7 days old you can start using it for making things that don’t need much rise such as pancakes, waffles, crackers, etc. So after the Einkorn starter is ready, can I use it exactly as I would my normal wheat starter? If I want to make pancakes with it, I would just follow my normal sourdough pancake recipe? Can I transition an all purpose wheat flour San Francisco starter to Einkorn, please? Will it also take 3 weeks to be fully active for a rise? You should be able to transition any wheat starter to einkorn. Just use the tips in the article above. 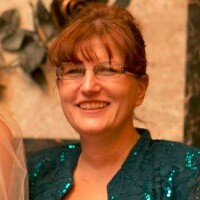 ~ Millie, TCS Customer Success Team. I have a well-established all purpose flour sourdough starter. I recently purchased Einkorn flour and would like to start experimenting with it. How would it work if I used my all purpose flour sourdough starter in recipes calling for Einkorn flour and Einkorn sourdough starter? Yes, using your current starter in replace of the einkorn starter will work just fine. 🙂 Let us know how it goes!